We’ve finally put together a show in the Mid-Atlantic area on September 9th, 2018. Conveniently located off I-95, just south of the Baltimore Beltway. Only 5-10 minutes from BWI Airport or Amtrak. [See map below.] For turn by turn directions once you are close to I95 and 695…see the bottom of the page. Seventy plus tables with thousands of pulps and lots of popular culture collectibles. Shipping services by Adventure House through USPS available for a standard counter rates and a small handling fee. Setup begins at 8 am. No Saturday evening advance setup available…sorry. Table fees include two free attendee badges. Table covers are not supplied. Use the contact information below to reserve your tables. We will bill you with a Paypal invoice. Thanks. Will send you an invoice. 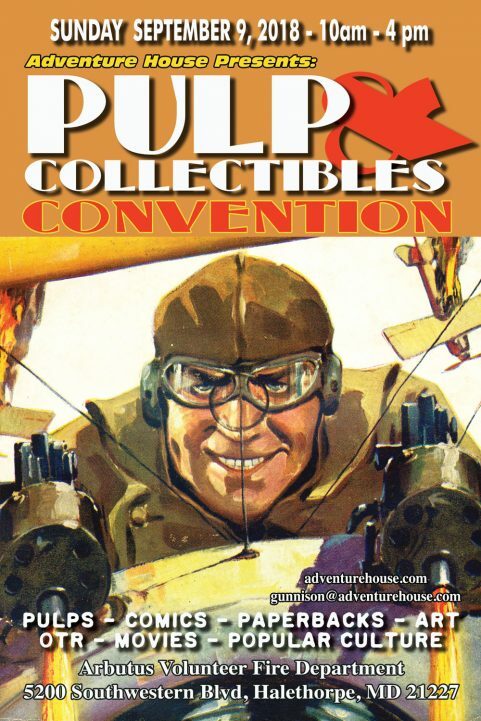 Coming September 9th, at the Arbutus Volunteer Fire Department, the first Pulp and Collectibles Convention will feature thousands of vintage materials from all across the 20th Century. This show is dedicated in bringing delight as well in enlightenment to those who love popular culture and the collectibles that emerged from the golden age of American entertainment. Just what is a pulp? For most, the phrase pulp fiction, is a catch-all for anything produced cheaply, written quickly or with minimal editing and perceived to be lurid. 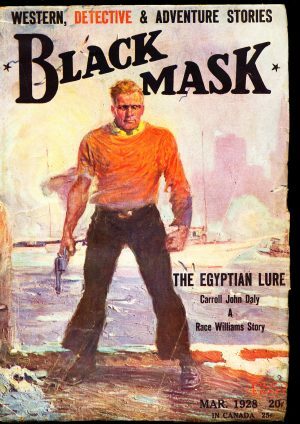 In reality “Pulp” was the bridge between 19th Century story papers and juvenile nickel weekly publications and what will be modern popular culture characters and genres. A pulp is simply a 7 inch by 10 inch magazine with a color cover printed on high bulk pulp paper or basically thick newsprint. 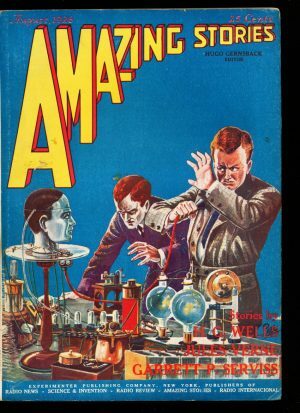 The pulp magazine era introduced to Americans the modern genres of Science Fiction and Fantasy. Throughout the early to mid 20th Century pulp magazine characters abound with notables being Conan, Tarzan, Buck Rogers, The Shadow, Doc Savage, The Spider, Sam Spade, Zorro, Horatio Hornblower, and even Doctor Kildare. Even from this small cast of characters you have future movies, television and radio series and the structure for future comic book characters. Those characters along with their author’s, whose names have faded pretty much into history, have shaped popular culture for the past 80+ years. Robert E. Howard, a dotting son for his ailing mother, writes a bigger than life character in Conan, who strode across a pre-historic landscape and creates the sub-genre of fantasy known as Sword and Sorcery epics. Howard’s stories are hotly anticipated within the magazine WEIRD TALES, until his death by his own hand in 1936. The genre and stories were resurrected in the mid-60’s when Conan, as illustrated by Frank Frazetta, hits the paperback racks. Movies and television are in Conan’s future as well. Buck Rogers, from AMAZING STORIES, captures a younger American attention and nearly a couple of decades later becomes Saturday movie serial fodder. Buck is also bound for more exposure in full-length movies and television. Zorro, written by veteran pulp author Johnston McCulley in ARGOSY, evokes an early California, and the series lasts several decades in pulp print and is brought to a modern television audience via Disney and their late 50’s show. Frederick Faust writing under his pseudonym Max Brand, introduces Doctor Kildare in the mid-30’s, also in the pages of ARGOSY and once again becomes television fodder in the mid-60’s. Pulp magazines are the gateway drug for millions of literate Americans when choices for entertainment are scarce and the printed page is the go-to at home past-time. It won’t be until the late 30’s and early 40’s before another media joins the ranks in the form of full color panels printed on high quality paper, better known as Comics. Those young comic creators cut their teeth on the pulps, and especially the “Hero Pulp” titles that filled the newsstands. 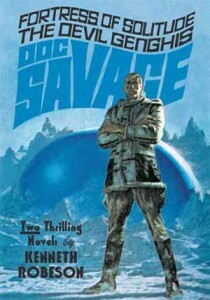 Take Doc Savage. Introduced in 1933 by pulp publisher Street & Smith, Doc was known as the Man of Bronze and fought crime from the top of the newly built Empire State Building. His special lair was located in the arctic and was called the Fortress of Solitude. Clark Savage was a worldwide adventurer and crime stopper. Jump 6 years later and you’ll find young pulp fanatics Jerry Siegel and Joe Shuster taking key elements from Doc and creates SUPERMAN. 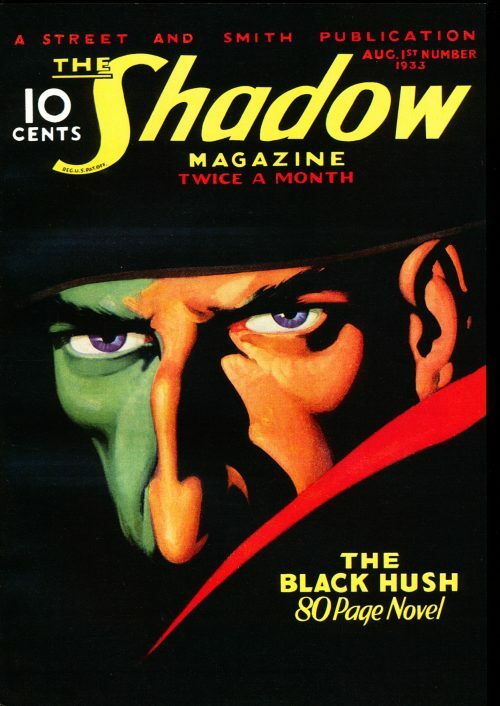 Batman’s creators Bill Finger and Bob Kane borrow elements from another Street & Smith magazine, THE SHADOW. Jump ahead several decades, and Marvel’s head writer Stan Lee, admittedly borrows heavily from Popular Publications magazine, THE SPIDER to create SPIDER-MAN. The convention will be a feast for the eyes as well as the mind. Collectors love these colorful items, whether it’s the original magazines from nearly a century ago, or their more modern iterations. The show will feature comics, DVD’s, records, hardback books, artwork, paperbacks, and of course pulp magazines. Local artist and author Mark Wheatley, will be selling his newest pulp related book featuring a world made real by legendary author H.P. Lovecraft and his elder gods, with Doctor Cthulittle. Another local dealer and chairman of the excellent Mid-Atlantic Nostalgia Convention, Martin Grams will have his wide range of great DVD titles of old movies and nearly forgotten television shows. Connecticut based dealer and hardboiled detective enthusiast Paul Herman will fill his booth with great pulp fiction, including the seminal title BLACK MASK. A huge array of comic books throughout the last 5 decades will be on display at All-American Comics booth manned by comic savant and dealer Gene Carpenter. 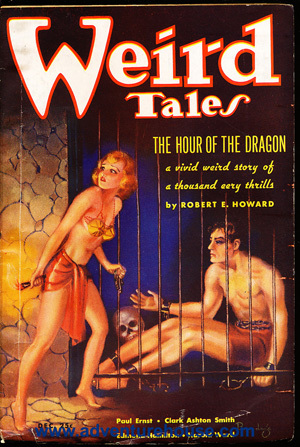 Even our host, Adventure House, will be setup with more than 5,000 pulps, paperbacks, hardbacks, artwork and their signature pulp reprints for sale. These dealers and more will be setting up their goodies to be checked out starting at 10am on Sunday September 9th. Quite literally there will be something for anyone interested in literary popular culture at the Arbutus VFD, 5200 Southwestern Blvd – Halethorpe MD 21227. Located just south of the Baltimore Beltway and I 95 and just minutes from BWI Airport and the Amtrak station.